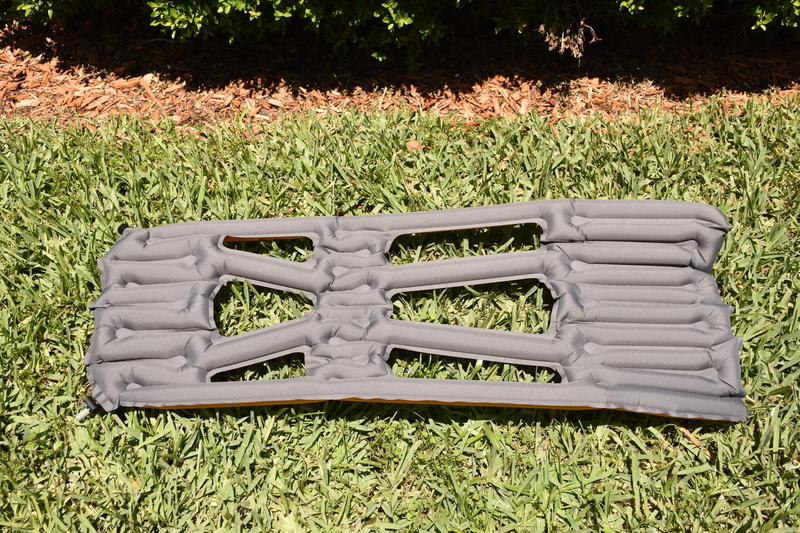 Klymit Inertia X-Lite - 2016: Review of an innovative, ultralight sleeping pad. My go to sleeping pads to date have revolved mostly around Thermarest variants - some ultralight and some not. This buying round I wanted to think outside my norm and take a chance on a sleeping pad I had always wanted to check out - Klymit's ultralight Inertia X-Lite. At 6.1 Oz. and 2.5" x 5.5" ( packed dimensions with bulb ), the X-Lite is just what I needed. 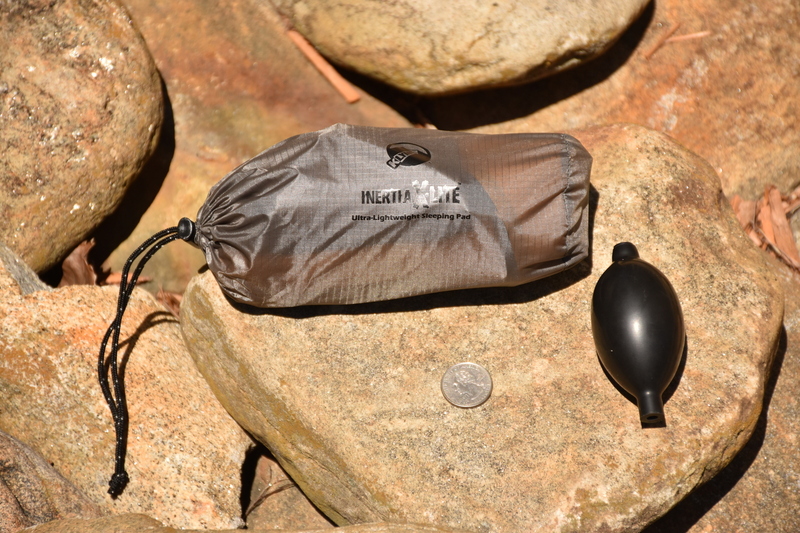 I opened the Backcountry package and was impressed how small the packed X-Lite is. It literally takes up less space than a standard 12 Oz. aluminum can but weighs less and is clearly designed for minimalist / ultralight purposes. My girlfriend asked, "Is that the sleeping pad?" in disbelief because she knows the size of two other sleeping pads I own. Included in the package are a separate bulb used to 'micro' adjust the firmness and a patch kit. From a conversation with Klymit, some wanted / needed more firmness due to the sleeping pad's thickness ( 1.5" ) and the second 'bulb' inflation port handles that quite well. The r-value isn't provided but, from research, I found it comes in at roughly 1 to 1.5 which isn't much. Then again, I didn't expect more given its purpose. For those inclined, thermodynamic equations would solve the r-value mystery but wouldn't completely define it because of 'loft pockets' ( Open areas where material was removed ) allow sleeping bags to expand and provide better insulation. These are the by-product of Klymit's 'body mapping technology' to determine where material can be removed which is precisely how they are able to sell a sleeping pad this light. At best, you could determine the r-value where material exists. 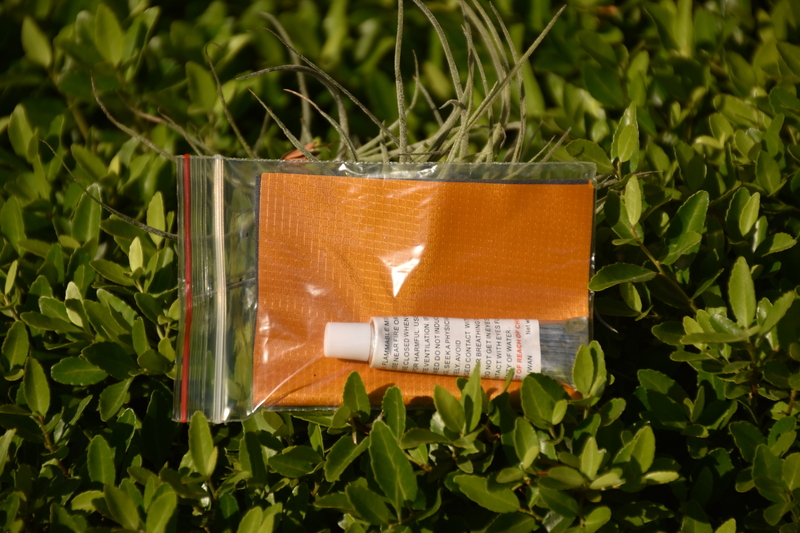 Packed size - Includes sleeping pad, patch kit and bulb. The next step was to inflate it and check out the comfort level although the real test would be during a planned trip to Colorado Springs / Manitou Springs the following week. I found the sleeping pad to be comfortable enough for me and on the Colorado trip, it served its purpose in 35-60 °F temperatures. I also wanted to know "How quickly does it inflate?" This was another surprise because it takes only 5-6 full breaths to fully inflate and if you need more or less firmness, then the use the bulb to 'micro' adjust as you see fit. 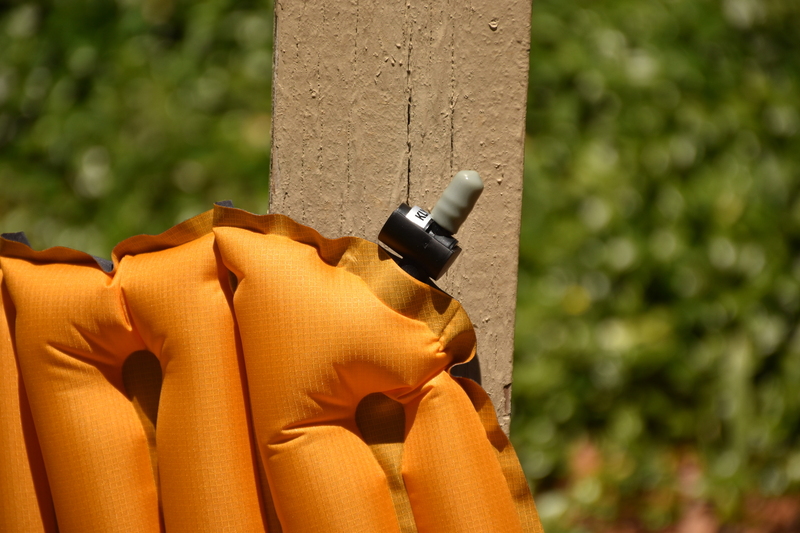 Fill Valve - Standard for sleeping pads. Blow and twist when complete. Secondary valve used with the included bulb. Bulb attached - adjust until you are satisfied. Patch Kit - Klymit thought of everything it appears. 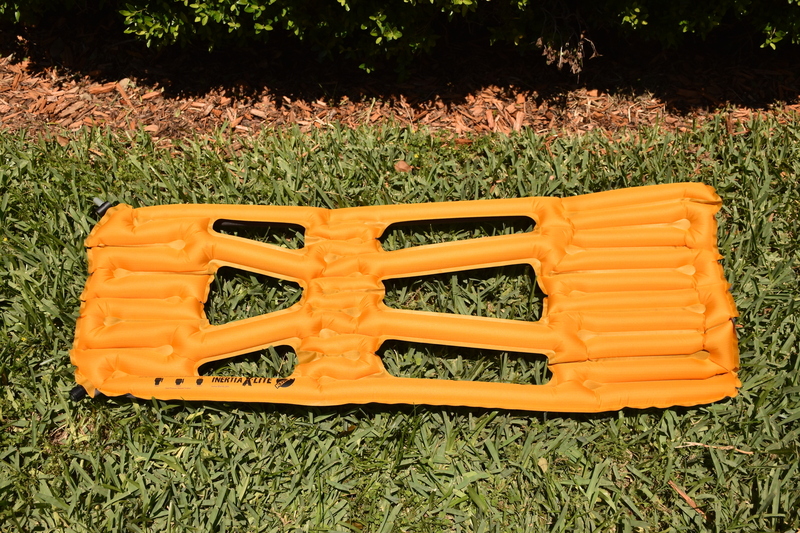 Top view of the Klymit Inertia X-Lite inflated. Bottom view of the Klymit Inertia X-Lite inflated. 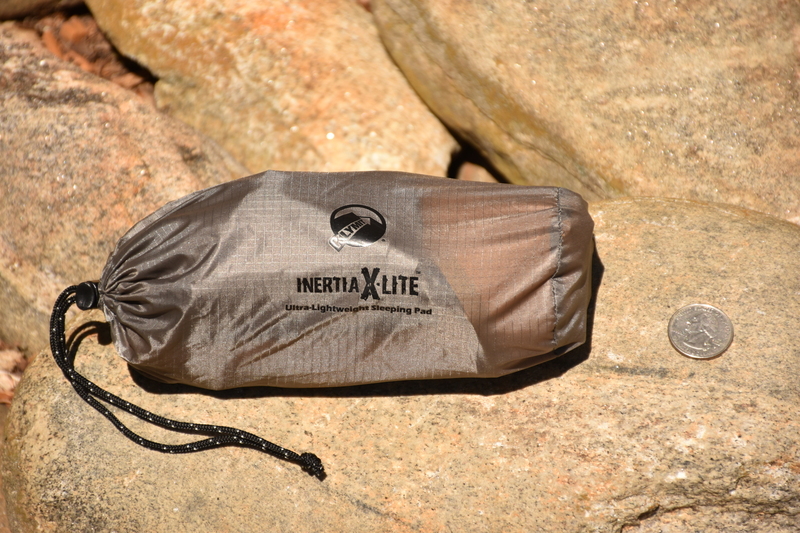 The Klymit Inertia X-Lite is great minimalist / ultralight sleeping pad. It performs well in the environments I camp because I am okay with giving up a little comfort to ensure my pack stays light. In colder conditions, I may bring along a thicker pad and if that isn't needed, I'll happily stick with the X-Lite. If not, then there is nothing wrong with having a couple of sleeping pads in my 'quiver' - each for its own purpose and conditions. 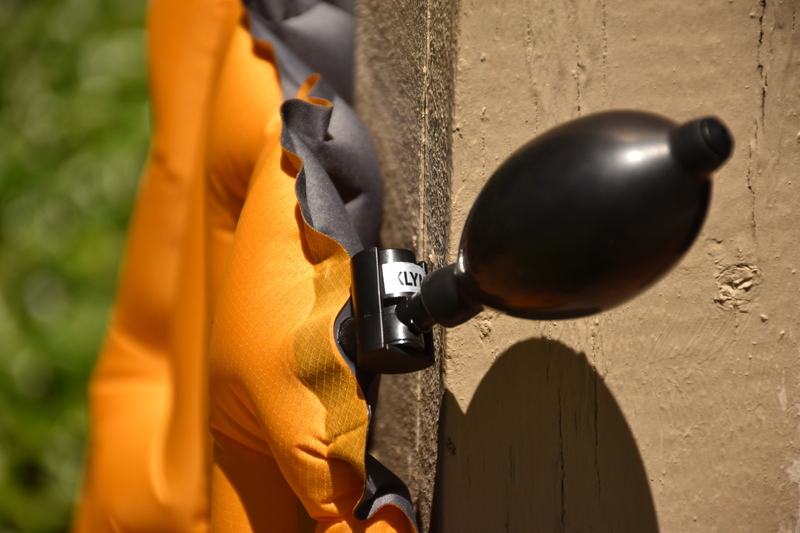 Klymit seems to have done a great job innovating beyond material and if you are trying to remove weight and save space, the X-Lite is the pad for you. 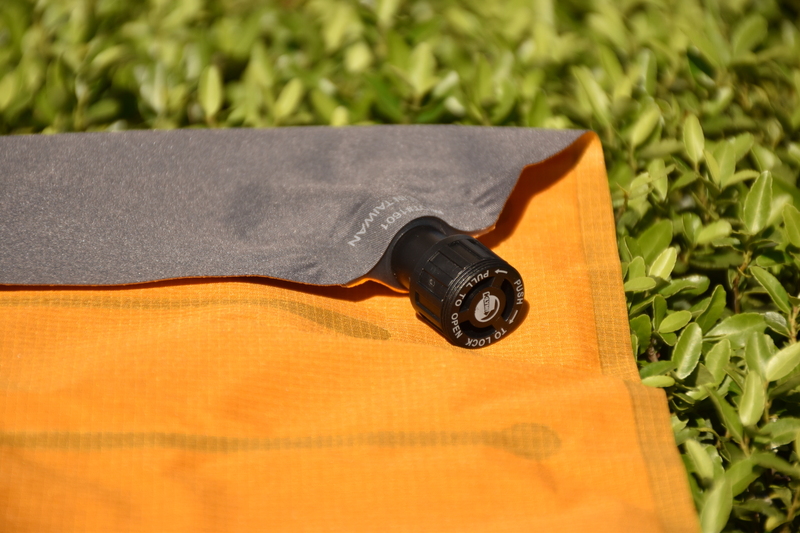 It is the lightest and most compact sleeping pad I have used and fills a sweet spot in my gear list. The cost? - I paid a little over $42 ( On sale from $59.95 ) - much less than a Thermarest Neoair X-Lite so now I have money to buy a thicker version if needed. Dimensions 42" x 18" x 1.5"
Pack Size 2.5" x 5.5"